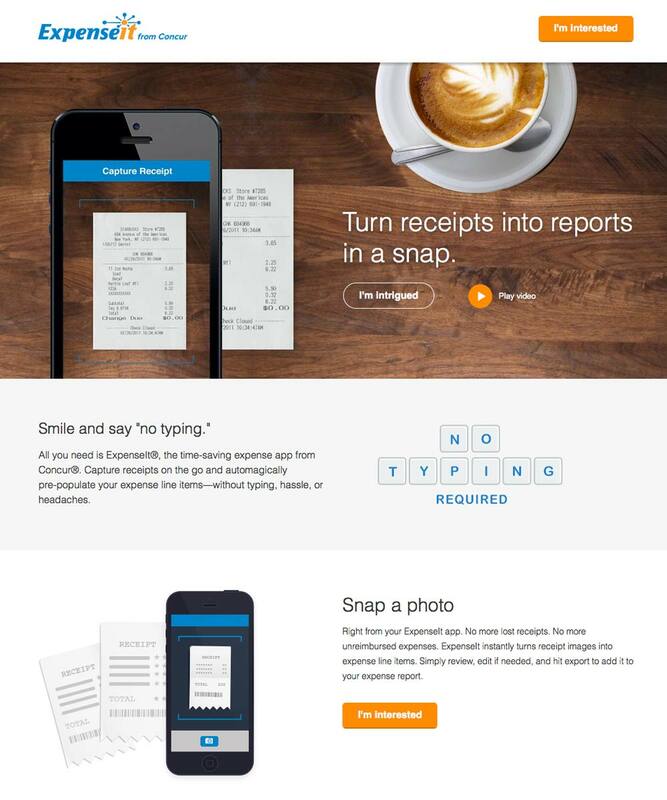 How can an app make expense reporting a snap? ExpenseIt® from Concur does just that. 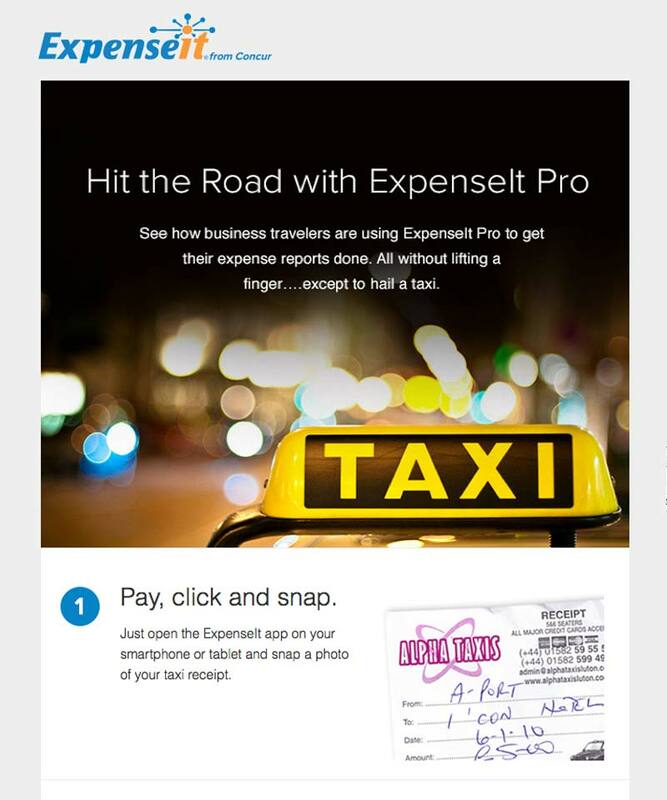 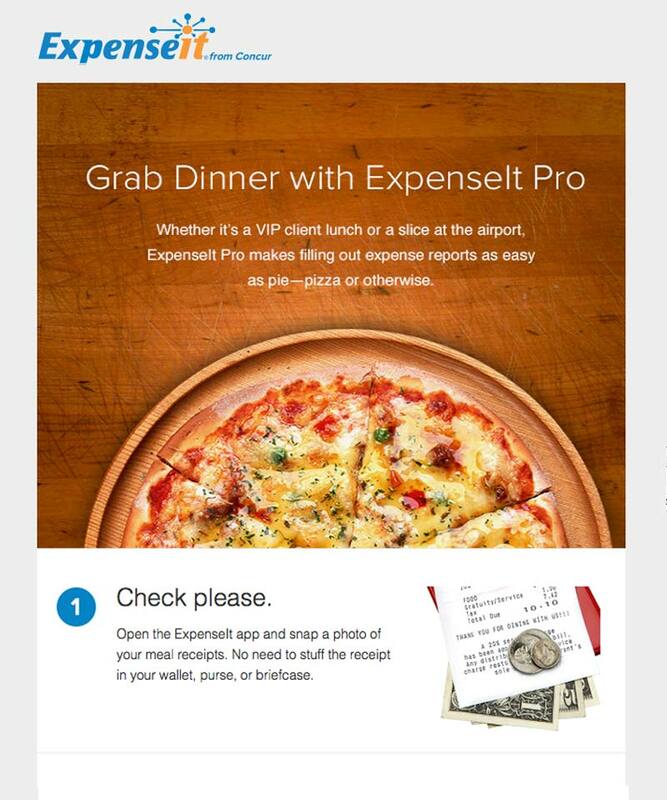 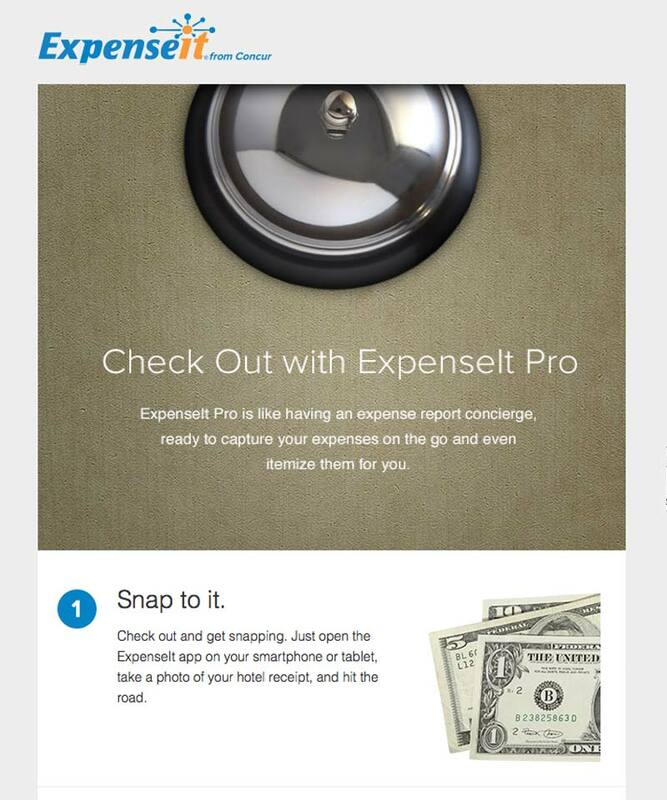 Brought to you by the same gang who developed TripIt® (another of our favorite clients), ExpenseIt lets you capture receipts on the go and automagically prepopulates your expense reports—no typing required. Designed for business travelers who are tired of cramming their wallets with paper receipts and then spending endless hours filling out expense reports, ExpenseIt turns receipts into reports…in a snap. 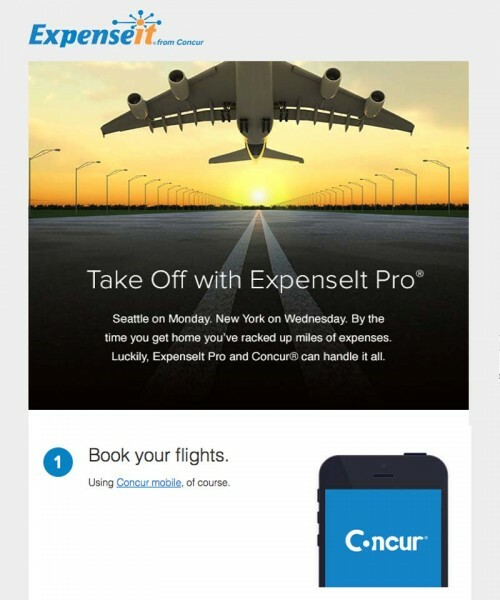 To ensure a successful launch, we created a messaging platform to establish positioning, differentiation, and key features and benefits. Then we turned that strategy into snappy copy for the web, the app store, emails, video, and more.